Happy Memorial Day! Hope you all had a great holiday weekend. It was a warm and sunny weekend...perfect for a day in the park and zoo with Nolan. 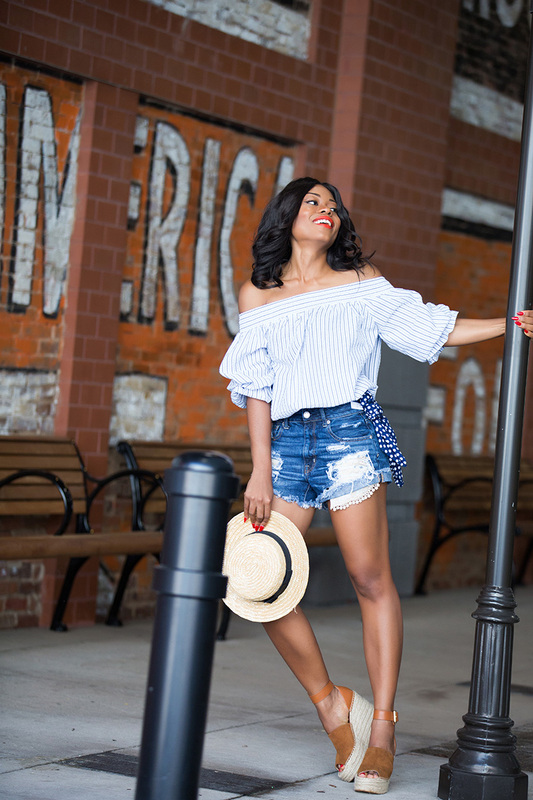 Kicking off this week's post with a summer fun look. 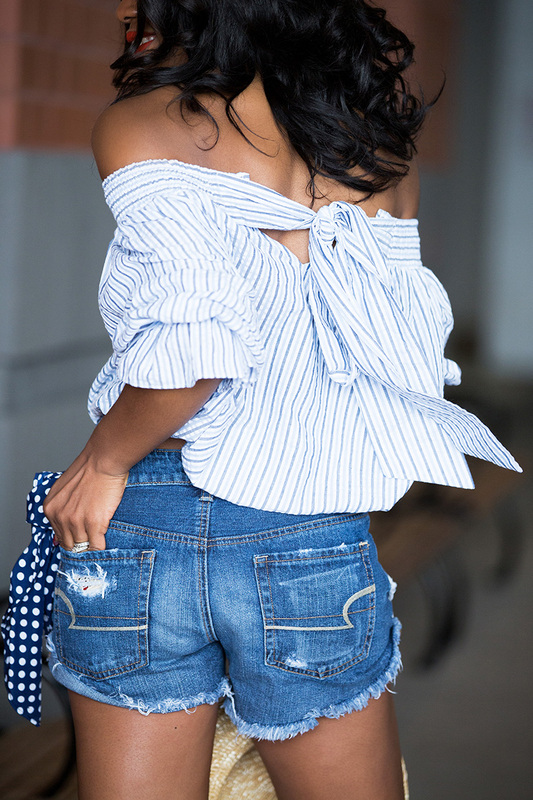 As soon as I saw the bowknot detail of this Chicwish off the shoulder top, I knew it will be a great spring/summer staple in my closet. I really can't get enough off stripes at the moment and the mixture of stripes and 'off the shoulder' is simply perfect. I paired it with current rotation denim cut off and completed the look with a wedge sandals. This post is brought to by Chicwish. As always, all opinions are mine. Nice post, and love your short.